← Isaac and Abraham ORCHARD: Friends of John Wesley! Abraham ORCHARD, Thomas & Mary MILLS, Mrs Hannah MORE and Zachary MACAULEY all in one blog! Just very occasionally, something or someone comes along and provides enough ammunition for you to blow a hole through one of your ‘brick walls’ – the genealogical dead ends that so frustrate family historians. In the past couple of posts, I’ve described two Abraham ORCHARDs, both in Bath, possibly even father and son, but now it seems I must kill one of them off, which I am very happy to do. So, it was Abraham Orchard the solicitor who died at the age of thirty-nine in 1793 and his wife Martha even younger at thirty-six in 1795. The ‘relative with a large furniture shop’ must surely have been Isaac, although Mr Richards doesn’t say that they were brothers but he doesn’t appear to know any details of Abraham’s lineage. It had often niggled, that ‘Mr Orchard of 4 Chapel Court’ who advertised properties for sale and ‘A Orchard’, Secretary of the Sunday School Committee, both ‘disappeared’ from the local papers by January 1793. Again, the Bath Tontine tickets, usually sold by Mr Orchard of Chapel Court were, for the first time, sold by Mrs Orchard of Chapel Court on the 25th March 1793. It may seem obvious now that this was all one man but I was utterly misled by an article in the Law Journal (vol 5 1865) suggesting that Mr Abraham Orchard of Chapel Court, one of two executors for the late Rev Walter Chapman in 1791, had died in 1800! The Bath Chronicle & Weekly Gazette (28th March 1793) reported Abraham’s death thus: “After a short illness, Mr A Orchard, school-master, a man of most excellent character, universally esteemed.” Abraham Orchard was buried on the 29th March at Bathampton. Why was he described as a schoolmaster instead of a solicitor? Perhaps he had given up one profession in favour of another call, remembering that in 1783, John Wesley had written to him in encouraging terms as though to someone who had recently embraced Methodism maybe. According to Mr Richards, Wesley had said that he knew Abraham as “one honest lawyer”. Going back to young Lydia Orchard being cared for Mary Bishop, this was interesting stuff indeed. 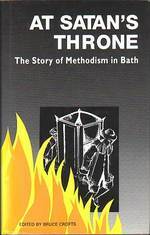 I had seen, in the book ‘At Satan’s Throne’ as before mentioned, that a Miss Mary Bishop had met John Wesley in 1769 when “she was a teacher in Bath who lived at The Vineyards and had been associated with the Countess of Huntingdon’s Chapel but there had been some point of disagreement which alienated her.” Apparently, Mary “knew Miss Marsh, a lady of fortune and piety and of good education” and it was through her that Wesley first contacted Mary. It is said that he was restrained in his correspondence, not attempting to hasten her acceptance of Methodism but eventually she joined the Avon Street Society and led the young women’s fellowship there. Unfortunately, Mary became ill and left Bath for Keynsham where she established a school which Wesley himself visited. The two of them seemed to become good friends and many of his letters to her are recorded. Realising her undoubted potential, Wesley persuaded Mary to spread the word and she returned to the Avon Street Room, as the meeting place was known. By 1776, Mary’s health was still giving concern and by 1779 she was very unwell and not mentioned further in the book. She obviously rallied, however, because, on the 3rd August 1789, she married the widowed Thomas MILLS (his first wife Mary, neé HAINES, had died in 1781) whose daughter Selina would become Lydia Orchard’s companion. 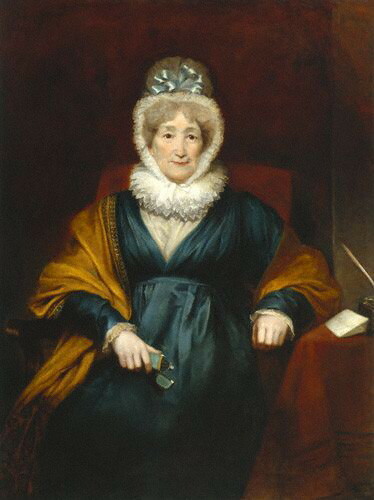 Frank Richards wrote “Lydia Orchard and Selina Mills (Macauley’s mother) lived together and Selina took Lydia with her to Mrs Hannah More’s school where afterwards Macauley himself received part of his education.” Hannah More was the stuff of legends and I couldn’t begin to do her justice here. The reader is directed to this article. Mrs More was acquainted with Zachary Macauley, once Governer of Sierra Leone and ardent abolitionist, who she introduced to Selina Mills. The couple married on the 26th August 1799. Their son, Thomas Babington Macaulay, historian, poet and politician, was the author of the five volume work commonly known as ‘The History of England’. See this article. When he married Mary Bishop, Thomas Mills was fifty-four years old and a Quaker. The couple’s ‘mixed union’ caused his expulsion from the Society until Mary was accepted “when it was found that the lady was willing to conform to their usages”. Surprisingly, she was also allowed to continue her Methodist teaching. Mr Richards says that Thomas and Mary “remained Quakers to the day of their death” borne out by the fact that both were interred in Redcliff Pit, a Quaker burying ground, she on 16th March 1819 and he on the 7th April 1820. Both of them left generous bequests to Abraham’s children and Mary also gave a sizeable sum of money to her servant for looking after her so tenderly and affectionately throughout her many periods of illness. Lastly, one line in Frank Richard’s notes caused me a particular flutter of excitement. He said “Lydia’s grandfather Orchard was a Quaker”. Never having been able to find baptisms for Isaac, Abraham or sisters Lydia or Mary, I had speculated that maybe they were children of a non-conformist. Albeit unsourced, I had a date of birth, not baptism, for Abraham on 18th October 1753. Quakers do not baptise their members they record their dates of birth in Meeting Books. So, although it was a wild guess that these children were born to Quakers Jacob the biscuit maker and his wife Mary, the anecdotal evidence is persuasive so I’ll leave them there, for now. There seems very little to add to this story now and the jigsaw is at last completed, at least to my satisfaction, although if there is more then I will relay the facts at some point. Having explored the peruke makers, the cabinet maker and the solicitor, it is time for me to turn my attention to the third branch of this family – mine – so next will come carriage makers, pawnbrokers and a couple of local council bigwigs, people who re-branded themselves as ARCHARDs. *With grateful acknowledgement to VG for material and WA for persistence. This entry was posted in General and tagged Abraham ORCHARD, Hannah MORE, Martha BISHOP, Mary BISHOP, Morgan WILLIAMS, Quaker, Selina MILLS, Thomas Babington MACAULAY, Thomas MILLS, Zachary MACAULAY. Bookmark the permalink. 4 Responses to Abraham ORCHARD, Thomas & Mary MILLS, Mrs Hannah MORE and Zachary MACAULEY all in one blog! Thank you Roger…. glad you liked it. Just sixteen years looking for evidence, huh? Almost a beginner then 🙂 I hope you get a breakthrough one day, the way I just did – it’s amazing when a couple of pieces of paper solve three riddles at once. The truth is out there… somewhere! Hi. Just found your amazing blog by chance. 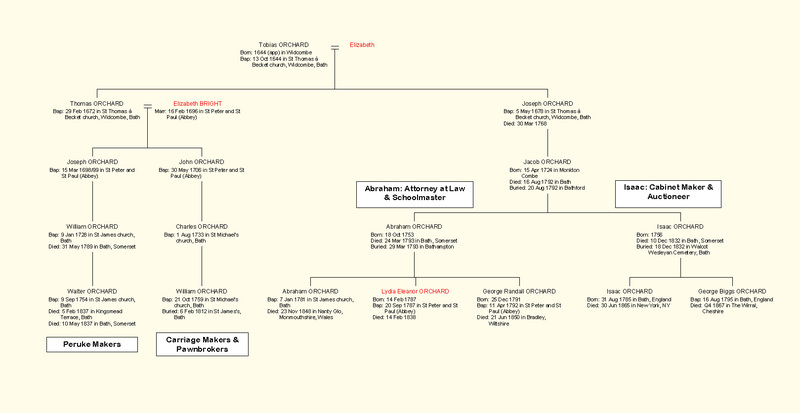 My name is Alison Rutledge (nee Orchard) and I believe I am a 4x great grand-daughter of Abraham Orchard the Bath solicitor via his son Abraham who moved to Wales and then his son George, his son Tom, his son Meredith and his son Austen, my dad. I had managed to get back as far as Abraham the solicitor but could not get any further and am thrilled with all the information, even though it is not all definite. But it’s amazingly interesting! I would be pleased to share information with other people researching the same part of the family.